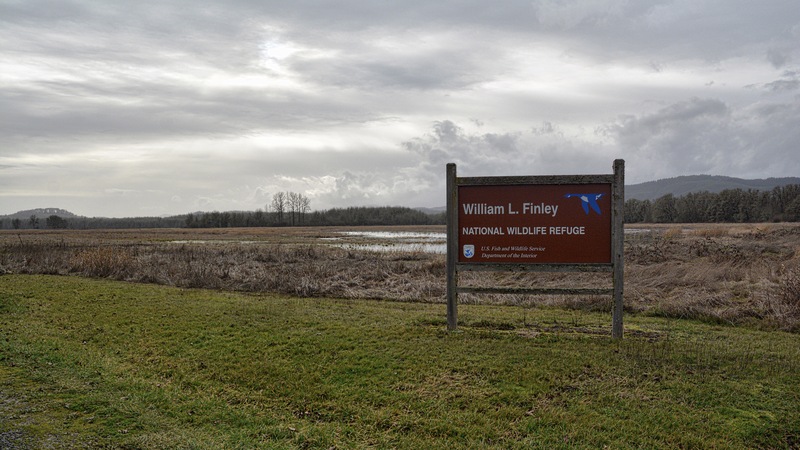 Here I am again, at the William L. Finley National Wildlife Refuge to create a variation on a theme… from a post I wrote just a few days ago. 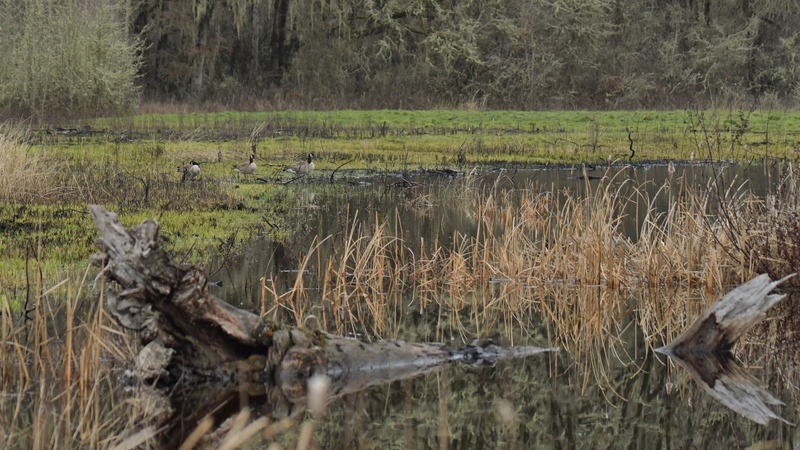 The refuge was originally established to provide habitat for various populations of Canada Geese. Canada Geese arrived in throngs… one after another… wedges, skeins, and plumps. as the new-arrivals sought out places to land. 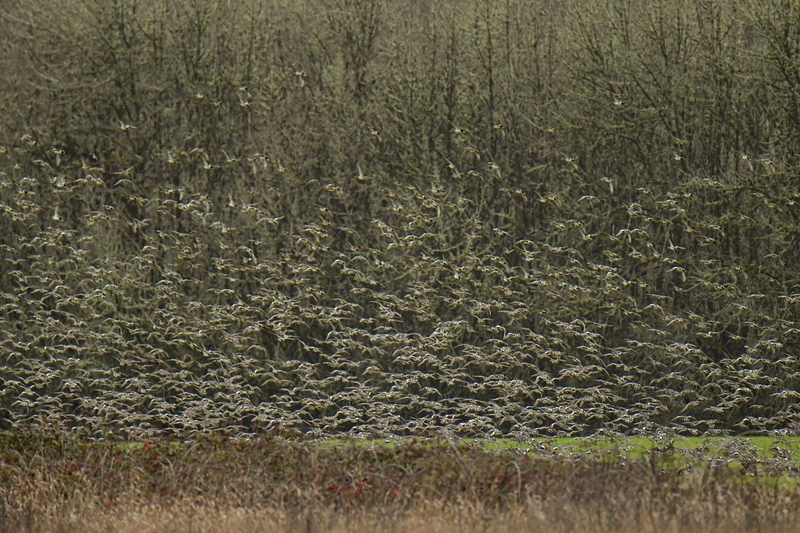 Dusky geese, variations on a theme… a subspecies of the Canada Goose, formed what looked like a low-level fog of birds. 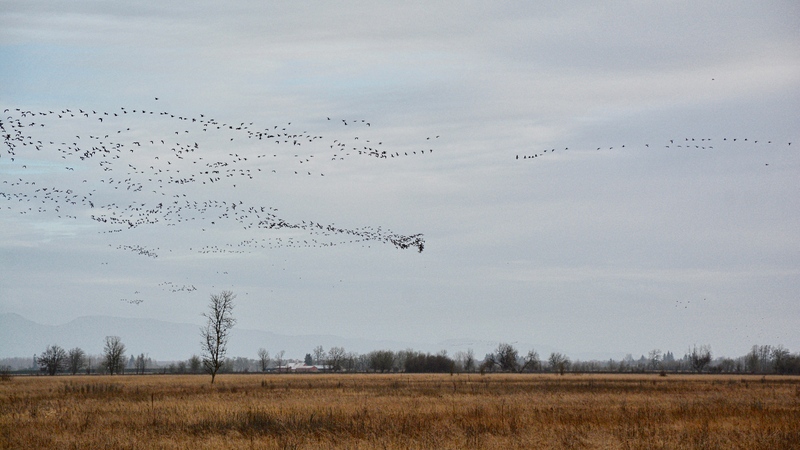 The flocks hugged the ground; then settled after the larger throngs of Canada Geese surveyed the situation and selected landing zones further away. 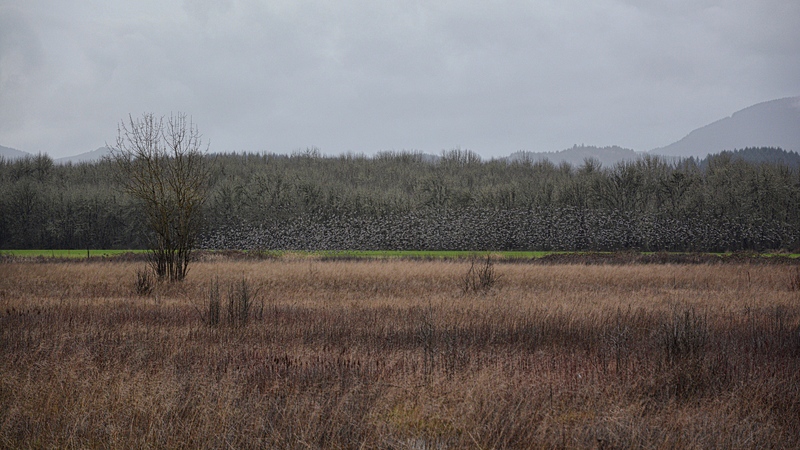 Those are enormous flocks – any estimation as to how many birds actually find refuge here, Jane? 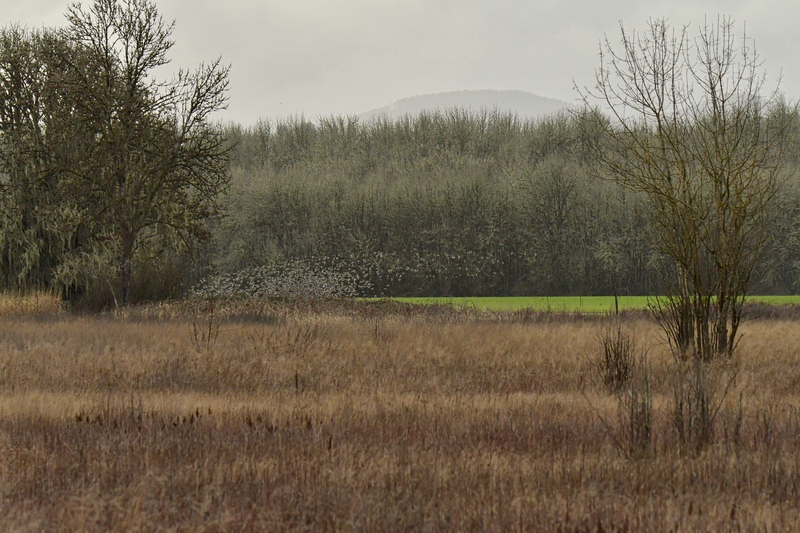 “It was impossible to count how many birds I saw during a brief visit one day last week. Perhaps 10,000. That total was actually disappointing, because on a previous visit, a refuge manager I was with estimated the number at 50,000. 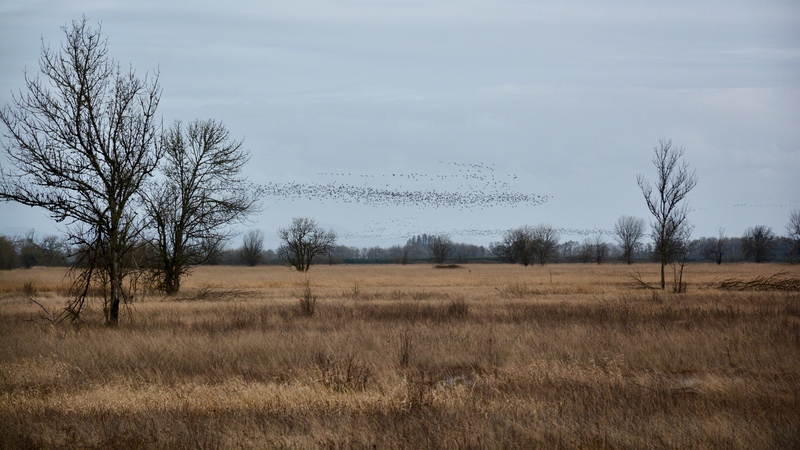 The flocks are primarily a half-dozen subspecies of Canada geese, plus lots of ducks (especially mallards and pintails) and tundra swans. This description is very much the same as ours! Sounds like the proverbial… love/hate relationship! !